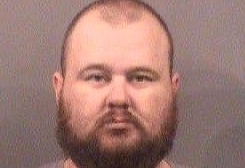 WICHITA, Kan. (AP) — A man convicted of stealing more than $7,000 in donations meant for an 11-year-old burn victim has been sentenced to probation. District Attorney Marc Bennett’s office said in a news release Tuesday that 39-year-old Martin Kerr of Wellington took the money from an online account that was set up to benefit a Haysville girl who was burned in 2015. Sedgwick County Judge Eric Commer on Thursday ordered Kerr to make minimum monthly payments of $150 over the next five years. Commer told him that he could serve six months in prison if he did not follow the terms of probation. The judge noted more than 100 people donated to the GoFundMe account meant to be used to help the girl and her family with expenses related to her injuries.